[toc]Freckles are one of the skin problems that are developed because of prolonged exposure to sunlight. It also happens due to uneven distribution of the skin color as well that we know as melanin. The spots are flat and are usually small in size. However, they might not be a serious health hazard but is one of the issues that cause issues in achieving clear and attractive skin. To ensure that you get back that flawless look, you need to aim at treating the freckles. Rather than adhering to expensive surgical treatments, you need to look into 100 percent effective and safe ideas in the form of natural cures. 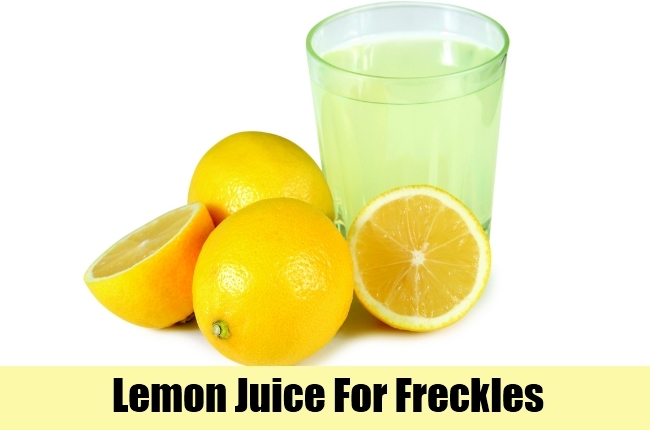 The natural bleaching properties of lemon juice are something that will help you in treatment of discoloration as well as freckles on the skin. Take a piece of lemon and rub it gently on the affected area on the skin each day. This should be left for a while and then rinsed off with cool water. It is one natural remedy that should be carried daily to see visible results in a couple of weeks. 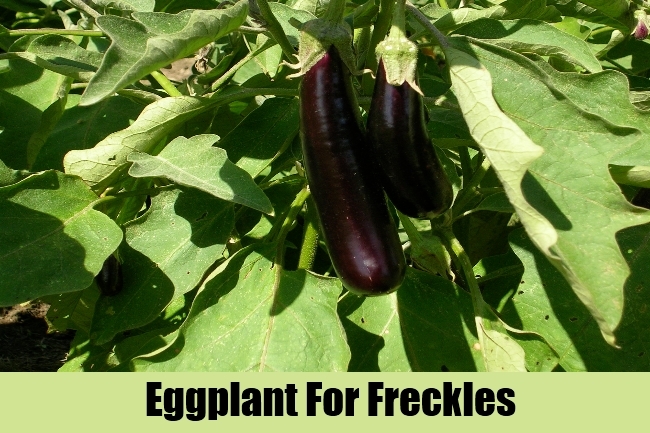 Slice a fresh eggplant and use it on the freckles. This should be done in circular motions and rubbed gently alongside. This should be done for 2-3 minutes and then left for a while. 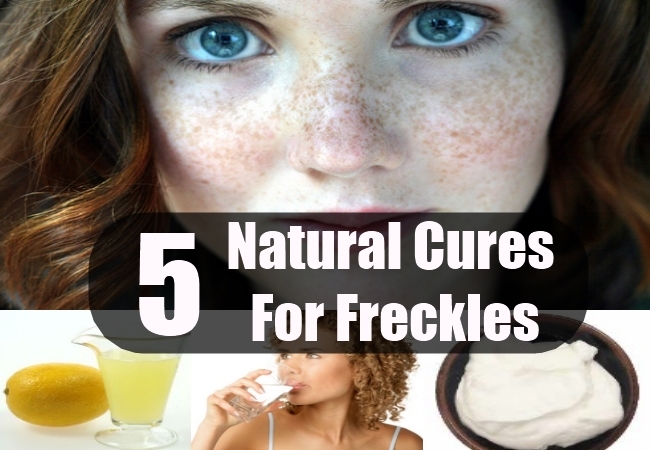 To start getting results on the freckles, follow this natural cure daily. It is bound to give you expected outcomes and a clear and attractive face yet again. Looking for a simple and reasonable natural cure for all kinds of skin problems including freckles? Drink about 10 glasses of water each day to see how well it regulates the body functions and treat the uneven distribution of melanin in the skin. This is supposed to be one of the easiest cures and one that has a lot of other benefits attached. 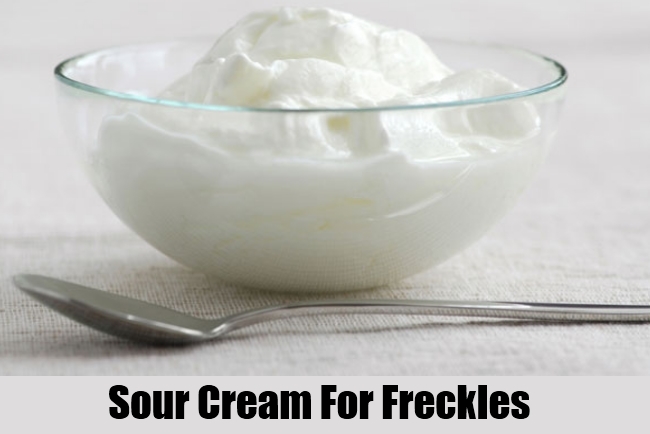 The lactic acid content in sour cream is what will help in treating the freckles without any difficulty. For the very same purpose, you need to take some sour cream and apply it directly on the freckles. This should be left on the skin to dry for sometime. Do not rinse it off with water. Instead, wipe it with a soft towel and use some moisturizer on top of it. It will prevent the skin from drying. This should be done once everyday for perfect outcomes. Sour milk or yogurt can be used to rinse the face as well for same outcomes. 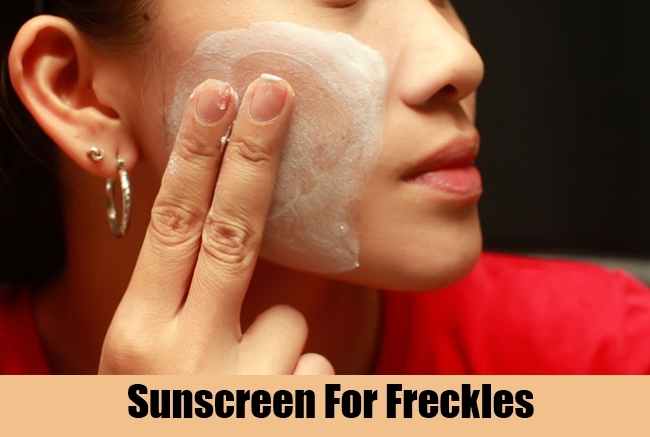 Since one of the major reasons why people undergo freckles on the skin is that of sun exposure, it is important to use a good quality and SPF content sunscreen on the skin before moving out of the house. This is not only preferable for treatment of freckles but also for preventing the same. It will also keep the skin protected from the UV rays of the sun. This is one of the effective natural cures for freckles.